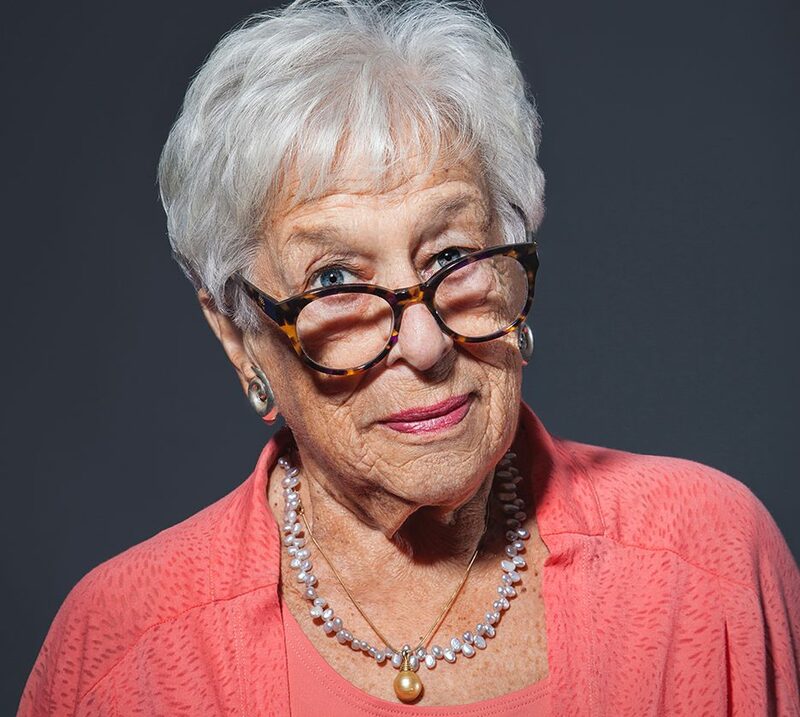 Gert Boyle, Chairman of Columbia Sportswear Company, is the "tough mother" and boss of the company that her family started when they moved to Oregon and fell in love with the Columbia River and the natural beauty of the Pacific Northwest. 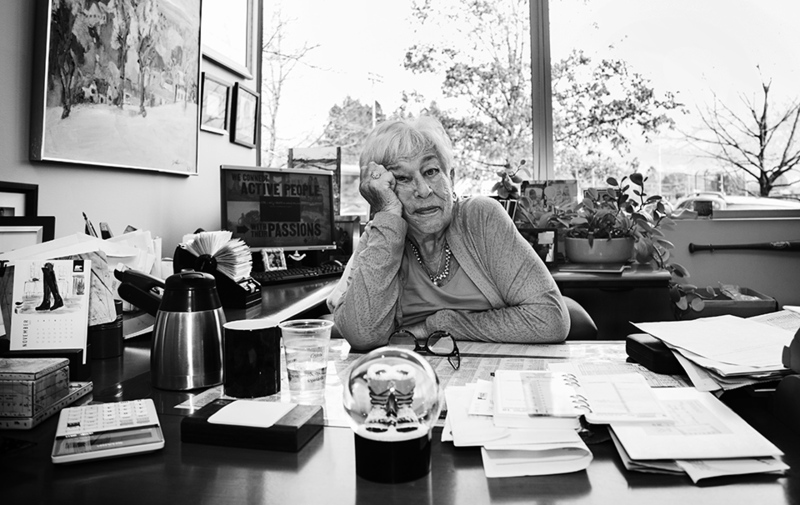 At 93 years-old, Gert can be found working at her desk during the week at Columbia's Portland headquarters. She has recently stepped back into the spotlight and is the centerpeice of the companies marketing. This is evident when you see her face, and humor, while walking the halls of the headquarters. Gert Boyle peers at me over those glasses with a half-bent smile that could go either way—up and into a witticism pulled from her 93 years, or down and into an earnest assessment of the sportswear industry. 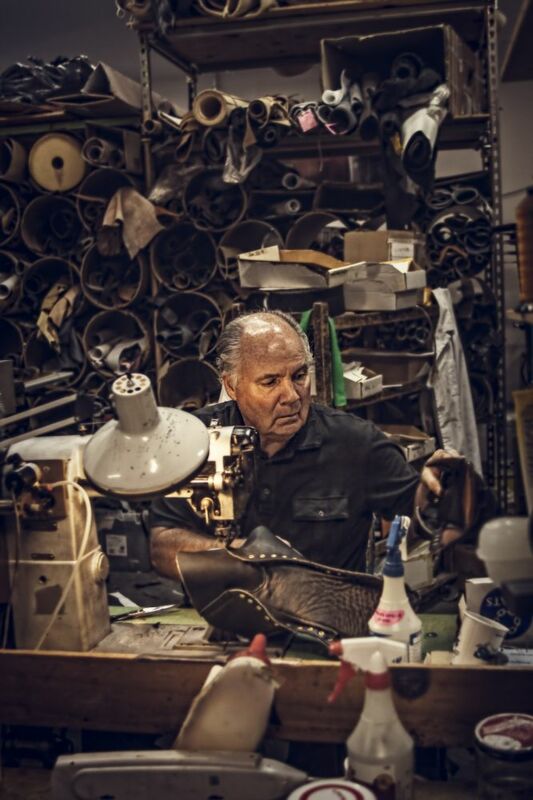 Even through her office’s cluttered mementos of decades of celebrity—a photo with Nelson Mandela, another with Phil Knight, Bill Clinton, the cougar from her Tough Mother-themed commercials, a snow globe with tiny boots inside—Gert Boyle is still at the center of this iconic Oregon sportswear company that is transitioning to a warmer and younger demographic. 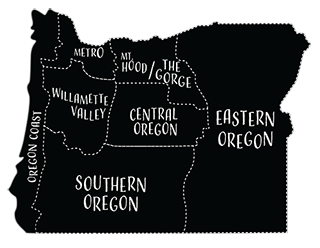 Boyle is the founder of the homespun Oregon company that her father, Paul Lamfrom, started in Portland in 1938 after the family fled Nazi Germany. Initially a millinery, the newly named Columbia Hat Company was a traditional business in a quickly evolving American outdoors industry. By the time Boyle took the reins of the faltering company in 1970, she knew something had to be done to broaden the product portfolio and reduce its seasonality. Innovation ensued. 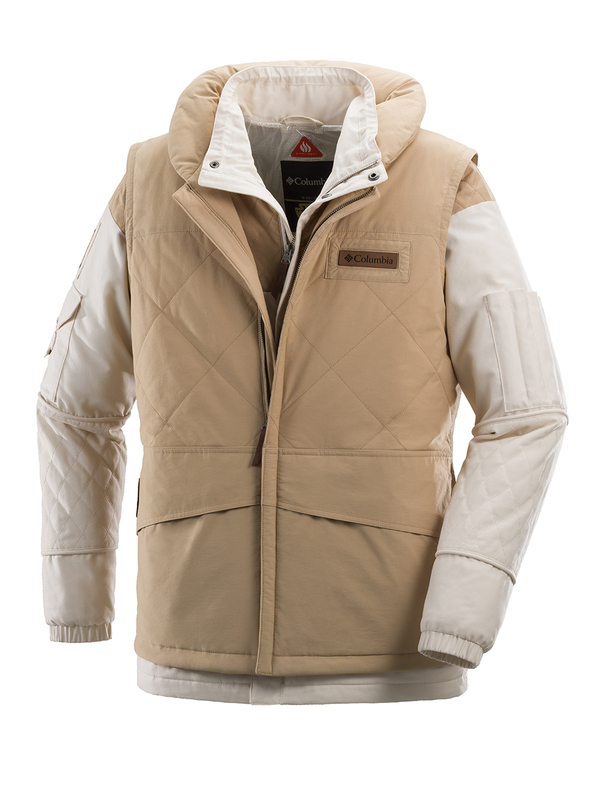 Columbia began making weatherproof ski jackets from Gore-Tex in the mid-70s and branded itself as king of inclement weather. 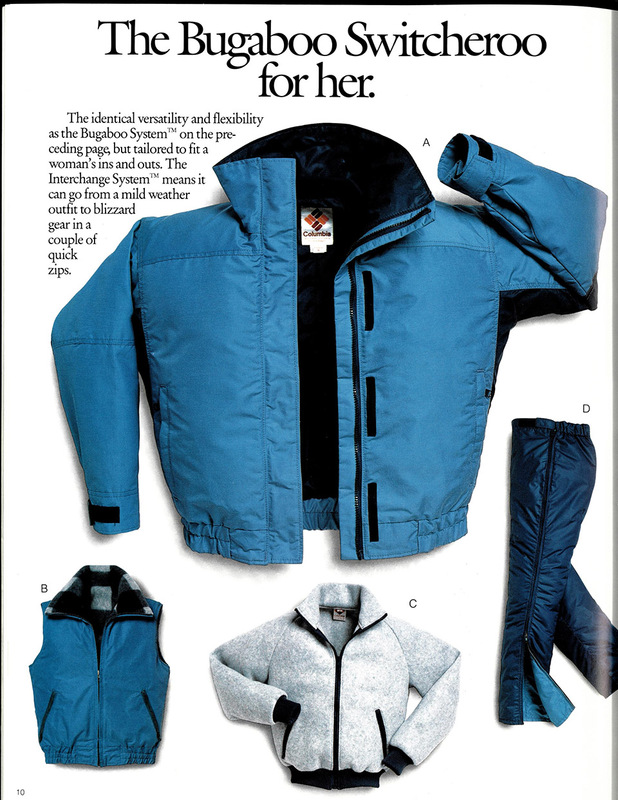 In the mid-80s, Columbia applied the same zip-out layer concept from a hunting coat to a ski parka, in what would become the Bugaboo and the first design coup for the small sportswear maker. 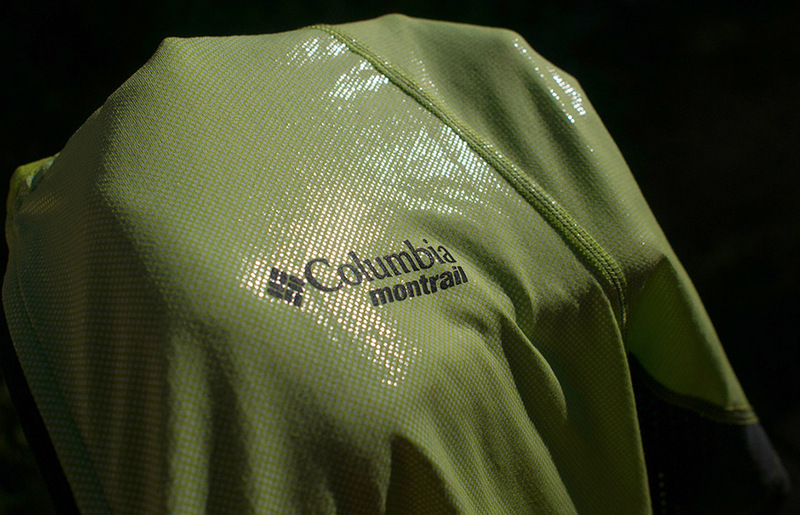 After a long dry spell, Columbia got the religion of technology and brought the thermal reflective Omni Heat out of the lab and into its jackets. In 2015, Columbia crafted a fresh take on a more breathable Gore-Tex and created a closed-seam thermal system with extreme water repellency and much-improved breathability. They called it OutDry Extreme. Enter Michael “Woody” Blackford, who for the past twelve years has climbed the ladder of Columbia’s design studios to earn the title of vice president of design and innovation in 2015. If innovation is the differentiator, a lot of responsibility lies in the hands of Blackford, who now has more than 200 industry patents from his years at Columbia. This spring, expect to see a glimmering addition to the product portfolio. Garments made with the new technology Omni-Shade Sun Deflector will shimmer under the summer sun as if it were made of a million tiny mirrors. Rather than consuming and reducing harmful UV rays, Sun Deflector garments are adorned with outward-facing micro-dots of titanium dioxide to reflect the sun, and keep its wearer cool and sun-protected. Meanwhile, Columbia’s corporate strategy is beginning to heat up on Wall Street. For the first nine months of 2017, net sales jumped 2 percent to a record $1.69 billion, while net income rose 5 percent for the corresponding period. 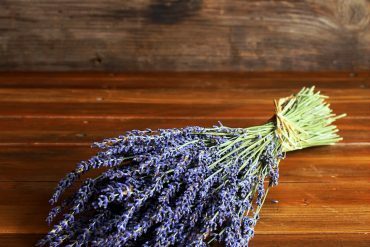 Investors cheered the diversification strategy by pushing the stock (COLM: Nasdaq) up 17% on the year to $70.43 by December 7 and just shy of its all-time high of $71.54 from summer 2015. Over the same period, Nike’s stock rose 14.8%, Under Armour plunged 54% and the S&P Apparel Retail Index, which includes a basket of Columbia’s peers, was flat. Not all financial news has been polar fleece and puffies, however. Columbia’s sales in the U.S., its largest market, have struggled. Perhaps Columbia is a victim of its own marketing success of its Tough Tested branding, in which Gert Boyle subjects her son and their gear to such rigors as being sent through a car wash without a car and deserting him on a frozen mountaintop to fend for himself. 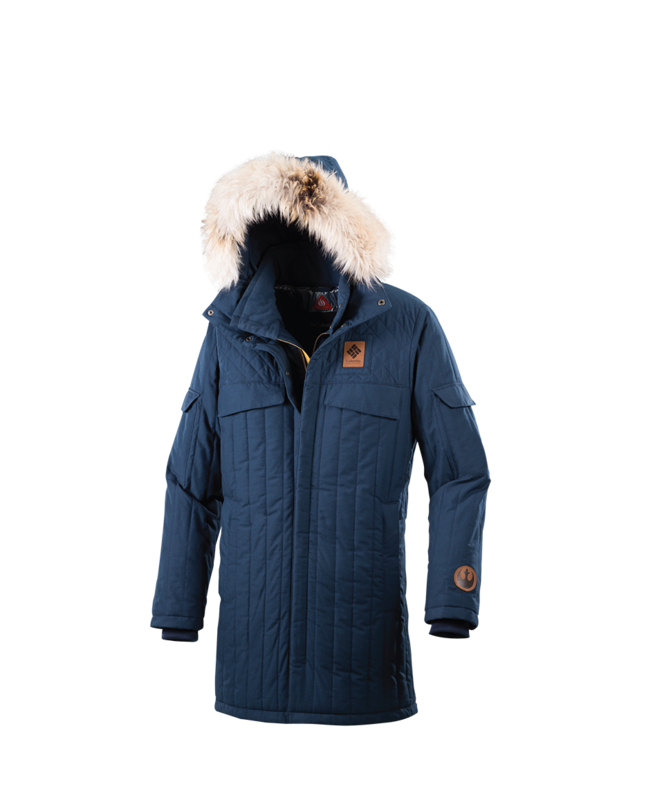 Not surprisingly, Tim Boyle noted on the conference call, “Most U.S. consumers would think about us as an outerwear company,” while drawing attention to the seasonality of outerwear. Perhaps in Europe and Asia—where the Columbia brand is newer—it’s easier for Columbia to remake its image as a footwear company that sells more than winter boots for Arctic explorers. Boyle confided with analysts that in summer 2017, Columbia promoted its European turn-around architect, Franco Fogliato, to join the team in Portland and focus on growing the U.S. market. These kinds of prognostications always seem a bit dire, presenting do-or-die scenarios built on disruptive trends, that seem stubbornly linear at the time. Nonetheless, this commentary is not without merit and bodes well for Columbia’s nimble wholesale and direct-to-consumer model. “We really consider ourselves to be a wholesale business,” CEO Boyle told investors and analysts in his conference call. Columbia operates 127 retail stores globally, compared with Nike, which has 1,142, according to Statistica. Adidas, for measure, has 1,757 venues and is opening 3,000 more in China by 2020. Without the expense of maintaining and updating a global bricks-and-mortar distribution network, Columbia can control and change its image at a lower cost than its brick-bound competitors. It opens new accounts with displays in retail chains instead of building new stores. Without branded stores across the globe, Columbia is finding new ways to connect with today’s consumers. In 2015, Columbia launched Project CONNECT, a multimillion-dollar realignment of its business model “around a ground-led consumer-first philosophy … brand awareness and sales growth in our wholesale and direct-to-consumer channels,” Tim Boyle said. Central to this shift is a strategy to become relevant, even hip, among younger consumers. 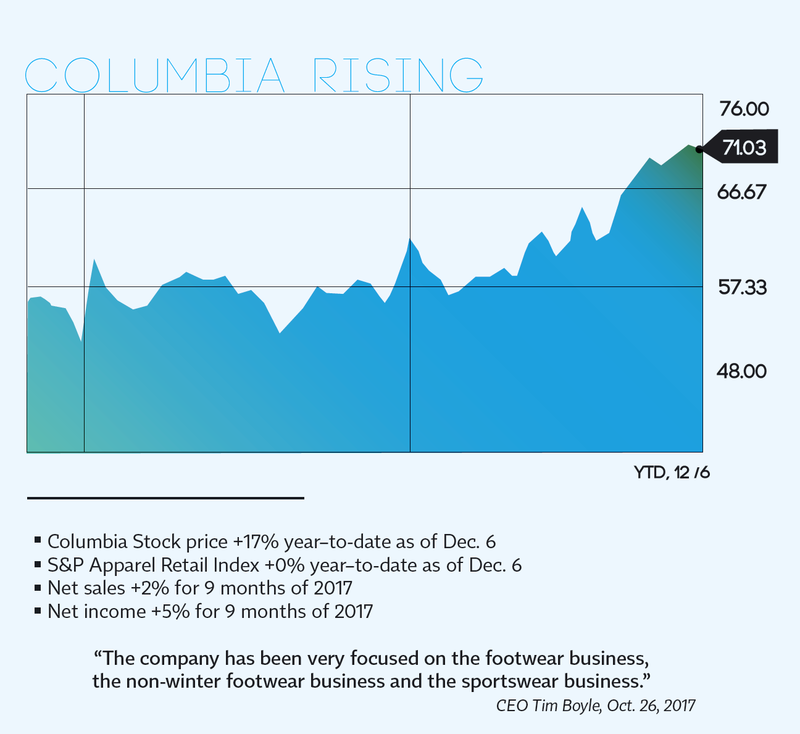 To that end, Columbia Sportswear has forged savvy partnerships in recent days to connect with a new generation, for whom popular endorsement and online shopping are central. With the Star Wars franchise, Columbia created garments based on those worn by Commander Skywalker, Princess Leia and Captain Solo. 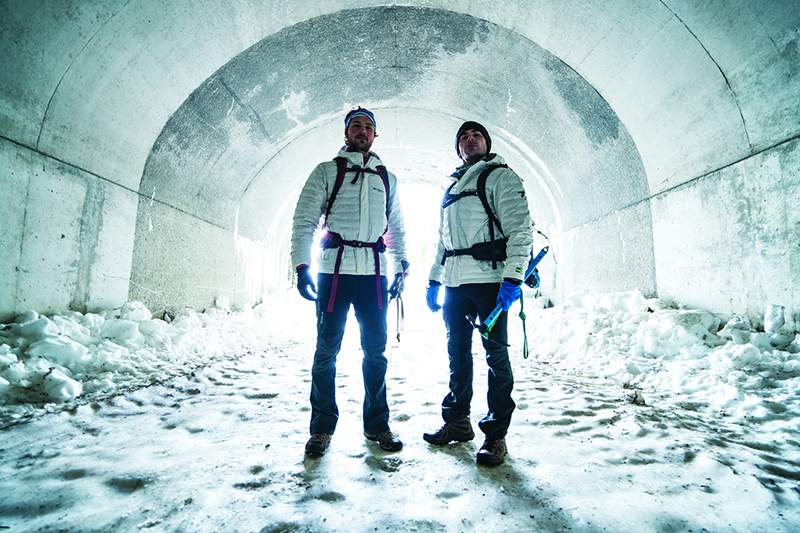 Columbia sent Hollywood hunk du jour, Zac Efron, and his brother on a gear-testing adventure that might have been undertaken by Tim Boyle in the past. In a high-end flair unusual for the brand, Columbia inserted a $515 Joan of Arctic limited-edition Sorel boot into the luxury lineup of Chloé, a chic Paris-based online retailer. Columbia Sportswear auditioned actor Zac Efron and his brother on Tough Tested outing with a van-ful of gear. Sorel gets chic with a limited-edition Joan of Arctic boot sold through the retail network of Paris-based luxury fashion house, Chloé. 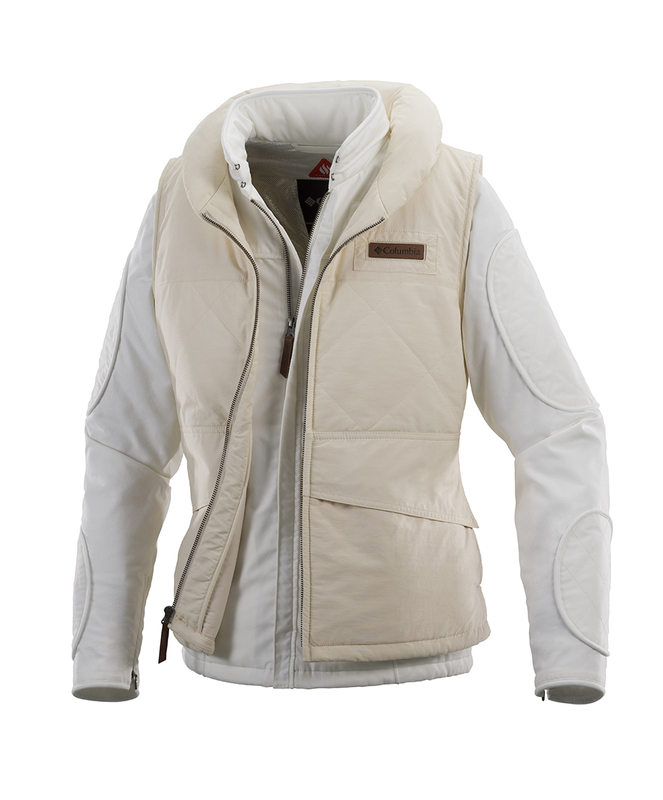 Columbia hits the big screen with limited edition jackets that replicate fashion from the Star Wars franchise. Co-branding Columbia teamed up with one of England’s most storied soccer clubs, Manchester United, as its official apparel sponsor. Over the course of nearly five decades of company leadership, Gert Boyle has met rooms full of personalities. Zac Efron may be the ephemeral star that brings Columbia to a new generation, but perhaps no brand, with the exception of Kentucky Fried Chicken, is more strongly associated with its founder than Columbia Sportswear. we felt lucky to spend so much time with her for this article. thanks for your feedback! Gert, you are my hero! I have loved your commercials for decades, used to threaten my kids with them, they thought I was the meanest Mom! Carry on, for many more years! we feel the same! still remember her strapping her son to the roof of a car lol.